This Saturday, July 14, Green Lake visitors are in for a treat as creativity, science and boatmanship join forces at the Lucerne Seafair Milk Carton Derby. Dozens of floating milk carton contraptions of all sizes and shapes, helmed by their makers, will compete for prizes and a winning title. A popular tradition since 1972, the event attracts watercraft built by kids, adults, families, schools and businesses, and is always an exciting salute to summer in Seattle. This year’s prizes include $3000 in prizes from Altitude Trampoline Park, Ivar’s, Sand Point Sailing, A la Mode Pies, Ezell’s Famous Chicken, and others. Registration for boaters opens at 9 a.m., and the races begin at 10:30 a.m. Admission for non-participants is free. Vendor booths offering food, drinks and exhibits will be available near the racing site, which is staged this year so attendees can have better views from Green Lake Aqua Theatre. The Seafair Milk Carton Derby is presented by Safeway and Albertsons. For more details, please visit the Seafair Milk Carton Derby website. Seattle Parks and Recreation (SPR) invites the community to learn about the design process for potential future improvements to the Green Lake Small Craft Center on Tuesday, June 26, 2018 from 6 to 7:30 p.m. Please join us at Green Lake Community Center, 7201 E Green Lake Dr. N to meet the design team (Schacht | Aslani Architects), learn about the site opportunities and constrains, and offer input on what a new small craft center might look like at Green Lake. Schacht | Aslani Architects completed a study of the existing building and programming needs in 2017 with funding from the Seattle Park District Major Projects Challenge Fund. They will present this background work as the basis for moving forward. The Seattle Department of Neighborhoods’ Neighborhood Matching Fund Program is funding the current planning project through the first phase of design. 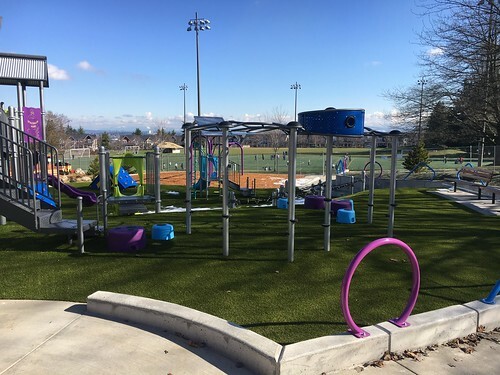 The Rowing Advisory Council is actively seeking additional funding from the Seattle Park District Major Projects Challenge Fund, State grants, and private fundraising for the subsequent design phases and construction. 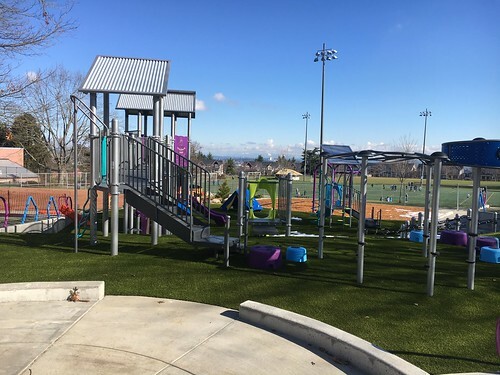 The Major Projects Challenge Fund is a Seattle Park District funding initiative that provides a funding match to a community-initiated “major project” that is not otherwise covered by an identified SPR funding source. Approved by Seattle voters in 2014, the Seattle Park District provides more than $47 million a year in long-term funding to Seattle Parks and Recreation for maintenance of parklands and facilities, operation of community centers and recreation programs, and development of new neighborhood parks on previously acquired sites. For more information please visit: http://www.seattle.gov/parks/about-us/current-projects/green-lake-small-craft-center-redevelopment. For additional question about the project or special meeting accommodations please contact David Graves at david.graves@seattle.gov or 206-684-7048. Seattle Parks and Recreation (SPR) issued a Request for Qualifications (RFQ) to select a design team to lead the design process for the Green Lake Small Craft Center Redevelopment. The consultant team will work with SPR and the public to design improvements, continue public outreach, and secure all necessary local, State and Federal permits and approvals for a new Green Lake Small Craft Center. The full RFQ information package and required submittal contents are available online at the City website: http://consultants.seattle.gov. The Deadline for submittals is 5:00 PM PST on February 23, 2018. The rowing and sailing community have expressed the need for the Green Lake Small Craft Center to undergo improvements and/or expansion to better service existing and future users. The center, which is located at the southwest end of Green Lake Park in north Seattle, is one of only two public rowing clubs located within city limits, and the only one located north of the downtown core. In 2017, in partnership with SPR, the Green Lake Rowing Advisory Council completed an architectural feasibility study. 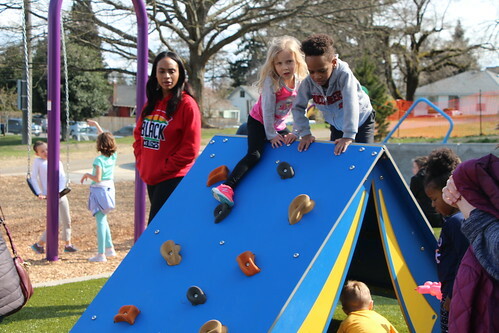 That community-initiated study, funded by the Seattle Park District Major Projects Challenge Fund initiative, will be the basis for the consultant design services solicited in this RFQ. 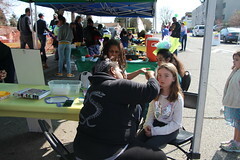 The initial design phase of the project is a funded through the Neighborhood Matching Fund. The goal is to complete the design phase of the redevelopment project with permits and construction bid documents in hand by May 2019. Currently, the project is only funded through schematic design; funding is not yet identified for construction. 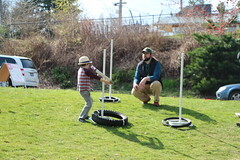 For more information please visit http://www.seattle.gov/parks/about-us/do-business-with-us/current-opportunities. For additional questions please contact David Graves, Strategic Advisor, at 206-684-7048 or David.Graves@seattle.gov. Seattle Parks and Recreation awarded Quigg Brothers, Inc. the construction contract to replace the pilings at seven swimming beaches along Lake Washington and two swimming beaches at Green Lake. The project will replace selected wood pilings used to secure swim area ropes and floats with steel helical pipe piles. The piling replacement will improve safety at these public beaches. 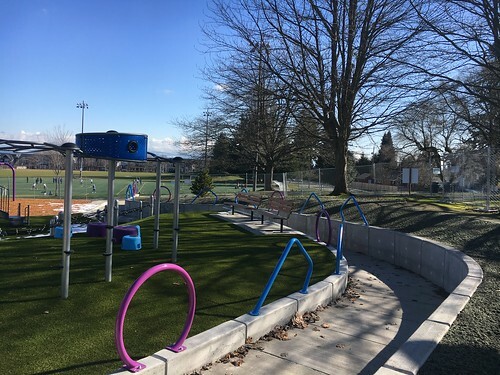 This project includes both the west and east swim beaches at Green Lake Park and the beaches along Lake Washington: Seward Park, Mount Baker Park, Madrona Park, Madison Park, Matthews Beach Park and Magnuson Park. Seattle Parks and Recreation is working to minimize construction impacts and manage environmental impact issues. All Lake Washington swim beach work will be done from the water. The projects at Green Lake Park will require temporary closure of the trail near the Small Craft Center. On the morning of Tues. Nov. 22, there will be intermittent closure of the trail to launch the barge and crane. We anticipate closing the trail again on the morning of Tues. Dec 6 to remove the barge and crane. The Seattle Park District provides $500,000 in funding for these swim beach improvement projects. Approved by voters in 2014, the Seattle Park District provides more than $47 million a year in long-term funding for Seattle Parks and Recreation including maintenance of parklands and facilities, operation of community centers and recreation programs, and development of new neighborhood parks on previously acquired sites. 2016 is the first full year of implementation and will include funding to tackle the $267 million major maintenance backlog; and will fund the improvement and rehabilitation of community centers; preservation of the urban forest; major maintenance at the Aquarium and Zoo; day-to-day maintenance of parks and facilities; more recreation opportunities for people from underserved communities, programs for young people, people with disabilities, and older adults; development of new parks; and acquisition of new park land. For more information, please contact Kent Scott, Sr. Capitol Project Coordinator, at kent.scott@seattle.gov or 206-386-4388. The event includes the ½-mile straight course and the 1-mile oval course. All participants receive a commemorative t-shirt and cap. There will be prizes for the top male and female in age group categories. First Open Water Swim? Read up on tips here.. In order to preserve the health and safety of Green Lake, Seattle Parks and Recreation is treating the lake with aluminum sulphate or alum. Seattle Parks and Recreation awarded the contract for the alum treatment to HAB Aquatic Solutions. The contractor will close the parking lot north of the Green Lake Small Craft Center, 5900 West Green Lake Way N. to stage alum treatment equipment. Staging and treatment is anticipated to take two weeks beginning Monday, April 4 and be completed by Monday, April 18, 2016. The alum will be applied near the water surface and it removes phosphorus from the water column as it forms small clumps and settles. It then covers the bottom sediments to further prevent the internal release of phosphorus from the sediments. The alum treatment is effective immediately upon application. Previous lake-wide alum applications in 1991 and 2004 effectively limited algae blooms and improved water quality. The alum treatment is expected to be effective for up to 10 years. The alum treatment plan was developed as part of the 2016 Green Lake Phosphorous Management Plan. For more information about the project please visit http://www.seattle.gov/parks/projects/green_lake/alum.htm. 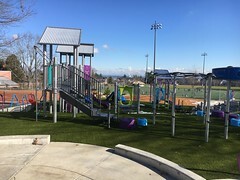 If you have additional questions about the project please contact Chris Mueller, Seattle Parks and Recreation project manager at chris.mueller@seattle.gov or 206-684-0998 . Seattle Parks and Recreation and the Friends of Green Lake invite the community to learn about the Green Lake alum treatment at a public meeting on Tuesday, Feb. 23, 2016 from 7 to 8:30 p.m. at The Hearthstone, 6720 E. Green Lake Way N. At this meeting Seattle Parks and Recreation and Herrera Environmental Consultants will present information about the implementation of the alum treatment and answer community questions. The 2016 alum treatment is intended to reduce phosphorus levels in the lake, limiting cyanobacteria (blue-green algae) blooms and improving recreational use of the lake. Previous lake-wide alum applications in 1991 and 2004 effectively limited algae blooms and improved water quality. In order to preserve the health and safety of Green Lake, Seattle Parks and Recreation is treating the lake with alum again this spring. The alum treatment plan was developed as part of the 2016 Green Lake Phosphorous Management Plan. Seattle Parks and Recreation would like to thank the Friends of Green Lake for their continued stewardship of the lake and The Hearthstone for meeting accommodations. Friends of Green Lake (FOGL) is a nonprofit group in Seattle, whose mission is to ensure a healthy Green Lake for wildlife and recreation, for today and tomorrow. For more information please visit http://friendsofgreenlake.org/. If you would like to request special meeting accommodations or need an interpreter please contact Karen O’Connor at karen.o’connor@seattle.gov or 206-233-7929 .